Using 3D printing can be a great asset, no matter what is your sector. Indeed, it can help you on many levels, that is why more and more 3D printing businesses are appearing on the market. Actually, the 3D printing technology can help you to develop any kind of project. Do you know about all the opportunities that 3D printing could offer you? In this blog post, we are going to show you how you could create your own 3D printing business, innovate, iterate and be part of this amazing success. You are looking for tips to understand how you could use 3D printing and start a business? We will share with you the best 3D printing business ideas and see what the best examples of successful 3D printing business are. Get inspired by all of these 3D printing ideas! At Sculpteo, we see it everyday: the 3D printing technology is used by more and more businesses, for various applications. It is now quite helpful for the medical industry, automotive industry, but also for architecture, aeronautics or even agriculture. The printing possibilities are endless. Did you check our State of 3D printing? This study is actually helping to understand how the additive manufacturing technology is used by the different businesses. It clearly confirms that this technology is used by more and more different sectors, from aeronautics to consumer goods. Printing objects is actually possible for anybody and for any company. If you need a little help to start your 3D printing business – for example, if you want to learn about digital manufacturing and 3D modeling for additive manufacturing – check out our Sculpteo Studio 3D printing consulting service. Our 3D printing experts are going to give your all the tips, training and information you will need to make the most of this technology! Here is a selection of businesses that are based on 3D printing, and some others that are using this technology to develop their opportunities even more. We hope that these examples will inspire you. Indeed, you could find the perfect business opportunity thanks to this cutting-edge technology. 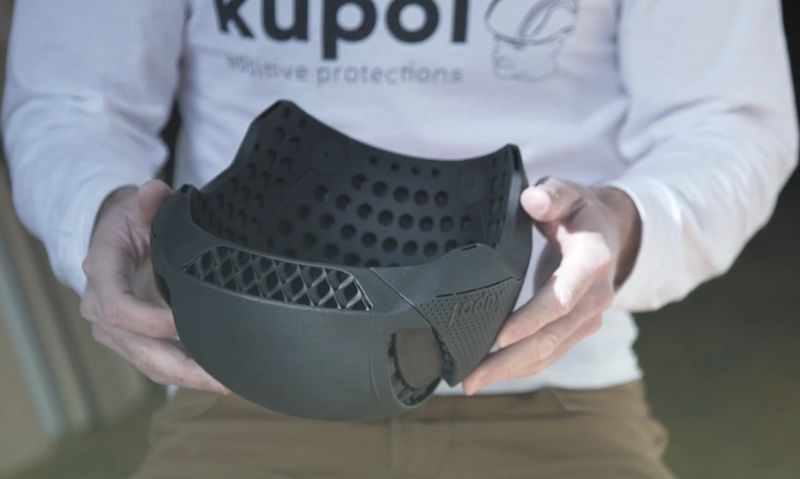 Gabriel Boutin, a 3D designer, created the Kupol Project using the additive manufacturing technology. It is a bike helmet, 3D printed with the HP Multi Jet Fusion technology, using Sculpteo’s online 3D printing service. This 3D technology helped this innovative designer to develop a relevant and resistant project. 3D printing can totally help you with rapid prototyping. Indeed, it is a simple and economical way to produce prototypes. With this technique, you only have to create your 3D design using your favourite 3D modeling software, and modify it as much as you want and need it. This way, you only have to modify the 3D model and print your 3D file to get your different iterations. 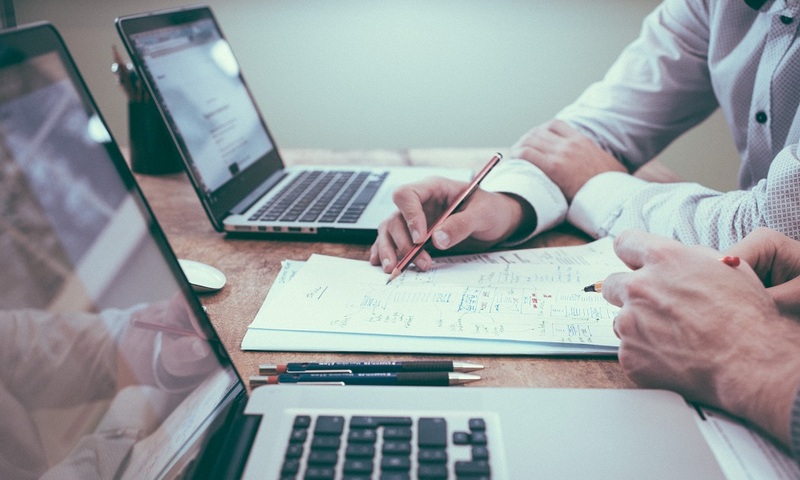 This process could help you to save money to develop your project. Indeed, iterating on your project using additive manufacturing is cheaper than with a traditional prototyping technique. 3D printing can be an asset on different levels, and not only for your products. We saw on our recent blogpost that 3D printing tools could considerably reduce your tooling investment. For example, do you know that Volkswagen Autoeuropa, the car manufacturer, is using 3D printing to manufacture some of its tools? The company actually estimates that thanks to 3D printing they saved 250,000€ in 2017. No matter what your sector is, reducing your tooling costs could really be a huge asset for your company. Using additive manufacturing to get custom made tools is reducing costs, but is also a convenient method that could help you to create a successful business. This way, these tools are totally adapted to their activity, and they are quite less expensive than with another traditional manufacturing technique. Mass customization is one of the most important possibilities offered by the 3D printing technology. Octobre71 is a company manufacturing light glasses, and for them, additive manufacturing is amazing to create customizable glasses. For fashion, products often need to be custom made, that is why 3D printing is a great new tool for fashion designers. 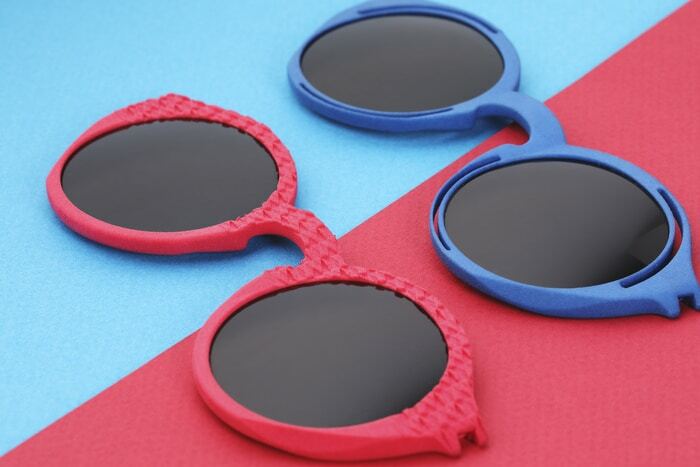 3D printing can allow to manufacture glasses adapted to the morphology but also to the style of any person. But this amazing benefits can be profitable for many other businesses. We just saw that 3D printing allows mass-customization. But is could also be the perfect manufacturing technique to actually turn your product into a service. How? It can lead to amazing 3D printing business ideas. Claire Chabaud, one of our former colleagues from Sculpteo decided to start her own business, Endeer from this idea. By combining 3D scanning and 3D printing, they are able to create custom-made armatures for women’s bra, and then insert them in their great underwear collection. The armatures are 3D printed in Nylon PA12 through our 3D printing service. The result is simple: a custom-made bra, perfectly the shapes of women, at a reasonable cost. Do you want to get yours? Their crowdfunding campaign is still taking place now! Apis Cor, a San Francisco startup 3D printed an entire house in only 24 hours in Russia. This company is making it possible to innovate in the architecture sector using the 3D printing technology. They are using the 3D printing technology and an XL 3D printer to create homes in no time and for a lower cost. 3D printing was actually the only solution for this company to create this amazing project, now that concrete 3D printers are available. 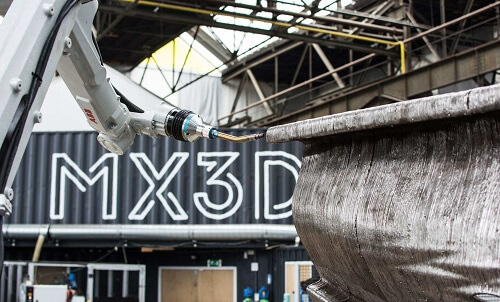 The MX3D team created a metal 3D printed bridge in the city of Amsterdam. Indeed, 3D printing is actually a great method to create urban setting such as bridges. Why? New XL 3D printers are allowing to 3D print at an architectural scale. It is making it possible to 3D print designs for project as big as bridges. This bridge will be placed right over a canal of Amsterdam, the Oudezijds Achterburgwal! It will be the largest 3D printed metal structure ever created. Simusolar is a company created in 2014 developing and implementing small-scale sustainable solutions to bring solar energy to the rural population of Tanzania. Using our online 3D printing service, they developed solar-charged LED lights for fishermen from the Lake Victoria, to replace their petrol lights when they fish at night. You can find more details about this project in this blog post. We already saw on our blog that additive manufacturing is an amazing manufacturing method to create custom-made shoes. Adidas created different 3D printing projects, and has been working on sneakers made with plastic found in the ocean. It is actually showing how plastic can be recycled and used by 3D printing businesses. Recycling plastic parts could be more and more important in the 3D printing industry in the upcoming years. Feetz is an American startup run by Lucy Beard, specialized in custom-made shoes, easy to wear and with a nice style. They can be adapted to any feet! Feetz is using the 3D printing technology to protect the environment. Indeed, 3D printing is also meaning no material waste! When using this technology to manufacture your products, you only use the amount of material that you need to print your objects. Jaguar, the famous car manufacturer is using 3D printing to create spare parts for its old vehicles. The company used 3D scanning to recreate the classic XKSS model from 1957. Additive manufacturing is actually the best way to recreate parts that are no longer manufactured and not available on the market. It is offering new business possibilities, even for big brands such as Jaguar! You just have to create 3D files of the unique parts that you need and print them! 3D printing is allowing to go further in any sector. 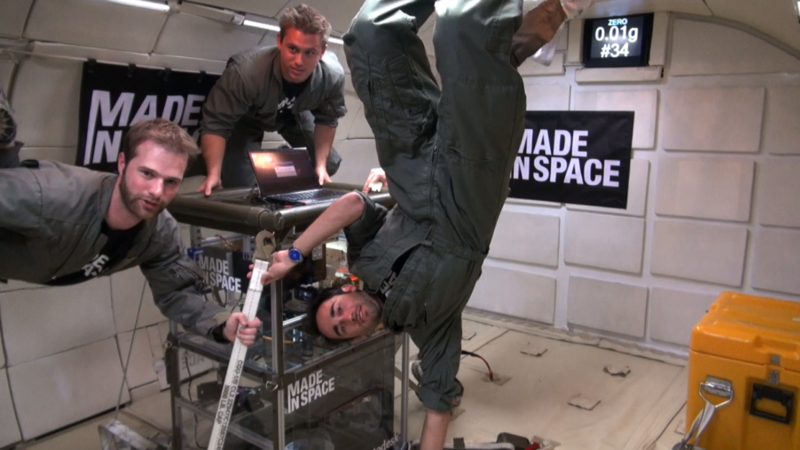 Made in Space is actually an American company developing solutions to 3D print in space, to help astronauts during their space missions. They develop a 3D printer allowing astronauts to print the tools that they need directly in space. Their goal is to elaborate technologies allowing to 3D print big structures such as satellites without gravity, outside of the station. Here is another idea of how you could use 3D printing: additive manufacturing can definitely help you to improve your existing products, by making them quite lighter or even to develop a design that might be too difficult to create with a traditional manufacturing method. For example, you could add lattices to your product, or strengthen your 3D print using jigsaw structures. It is also really convenient to create objects in just one part. You may know it but some complex designs can be difficult to create in just one part. But the additive manufacturing technology allows you to do that. As you can see on our 3D printing material pages, there is a lot of different materials available. Each material have its properties, some of them are better for prototyping, others are better for production. Some are flexible and other more resistant to stress. You have to find the right material for your project. But once you found it, it can totally give you the possibility to improve the final property of the product that you want to manufacture. Indeed, the same product manufactured with a different material can have a lot of different properties: it can be lighter, it can have higher resistance to heat, etc. The possibilities are endless, just by choosing the right one. You can possibly find a cheaper material with better properties just by using the 3D printing technology. Think about it! We hope that you are getting inspired by all of these amazing 3D printing business ideas. Are you ready to create your own 3D printing startup? Keep in mind that everything is 3D printable, and this technology could totally help you to start a new adventure and grow your business. If you want to read more about 3D printing applications and 3D printing business ideas, we recommend you to subscribe to our weekly newsletter. We will tell you about all the most innovative and impressive projects in the 3D printing world.